Oh this is RICH, pun intended. Remember when Real Housewives of Orange County’s Vicki Gunvalson was hooking up with grifter Brooks Ayers? How could you forget? Their sordid co-dependency cost Vicki friends, damaged her relationship with daughter Briana Culberson and put a huge dent in her reputation. But you know Vicki, she gotta have a man and that DISGUSTING LIAR Brooks guy was one for the record books. Now Vicki is on the other side with a lawsuit of her own, and all I can say is – good luck with this one, dear. Another thing that everyone knows about Vicki is her constant need for attention. 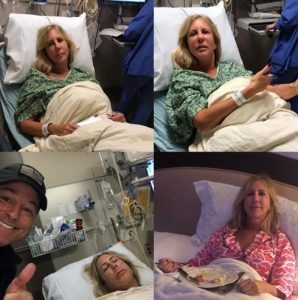 Is anyone surprised that Vicki posted photos from her recent hospital visit? No, not at all. Not only that, but she didn’t just share one photo. Vicki actually posted a collage of photos updating fans on something that no one had any prior knowledge about. Actually, there’s not even any current knowledge on Vicki’s medical situation. Even though she desperately wants attention shared the hospitalization on Instagram, she didn’t give a ton of information. 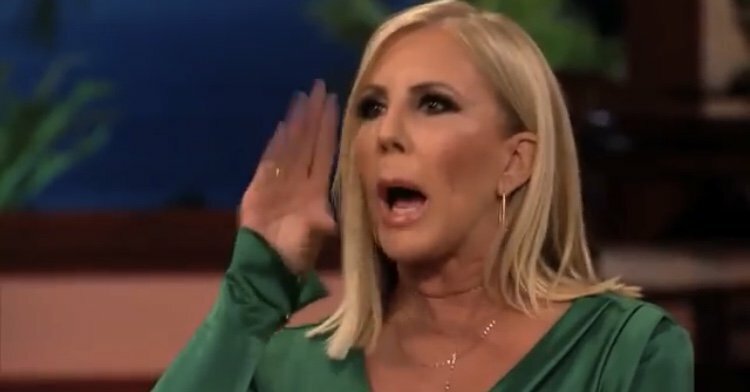 As the OG of the OC, Vicki Gunvalson is the pioneer of using the Real Housewives franchise for her own professional gain. She has been plugging Coto Insurance (and I guess I just did too) since Season 1 of Real Housewives of Orange County. She paved the way for other Housewives to shamelessly promote their businesses. It’s a rite of passage at this point. However, many people think Vicki went way too far when she decided to capitalize on Luke Perry’s death.